THE Plymouth Billiard League had three representatives who travelled to Carlow in Ireland to compete in the World Billiards ranking events at the Ivy Rooms. Steve Brookshaw, Chris Coumbe and Barry Russell were among the 34 players who took part in the Irish Open. Both Brookshaw and Russell progressed to the last 16 of the main event, while Coumbe reached the final of the Challenge Cup Plate competition. This event was followed by the European Open at the same venue where Coumbe enjoying his best result of the season by getting to the quarter-finals before losing to the world champion Dave Causier. Keyham team-mate Brookshaw made it to the last 16, but was defeated by in-form Nathan Mann. Saltash’s Russell is climbing the World Billiards rankings and is now ranked 46th with one event remaining of his first season, with Brookshaw ranked eighth and Coumbe at 20th. 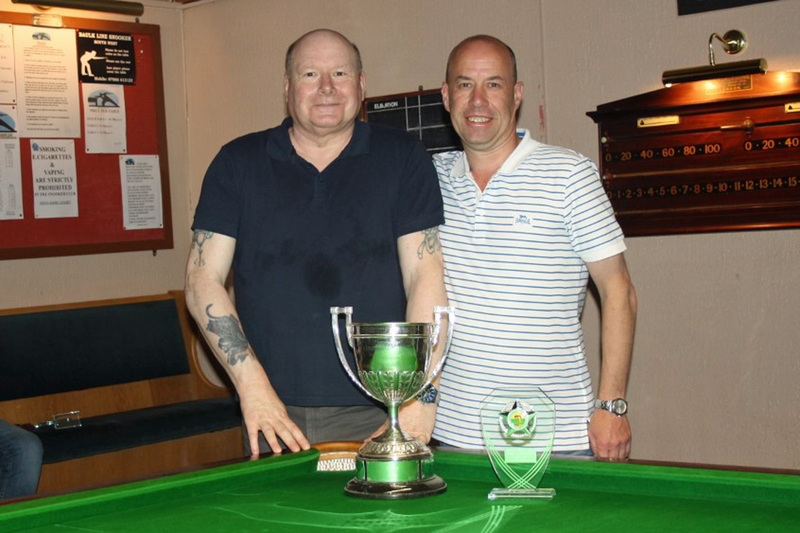 Meanwhile, the Plymouth Billiard League season recently held their trophy presentations at the Elburton Snooker Club. Elburton A were the winners of the Roger Ayers Memorial competition, while Saltash Social Club came away with the Trevor Davies Cup. Keyham Cons enjoyed a consistent season finishing runners-up in both events. 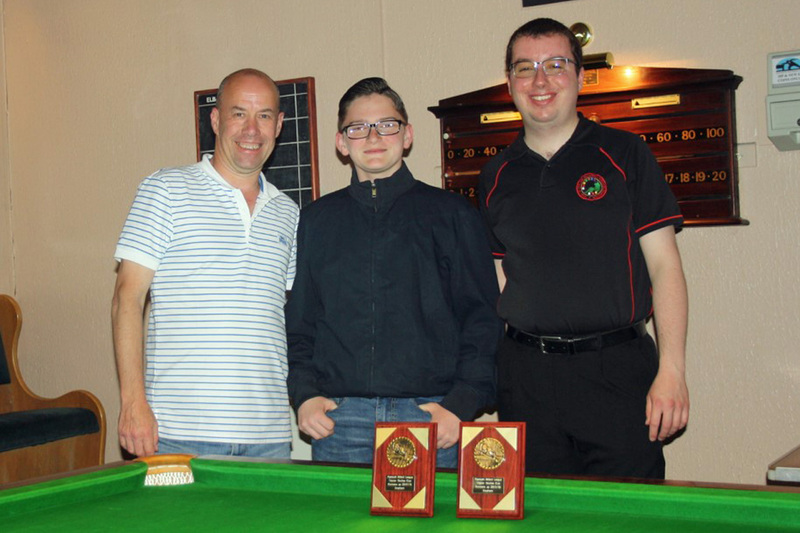 The individual championship saw Barry Russell defeat up and coming Ben Freeman in the final. 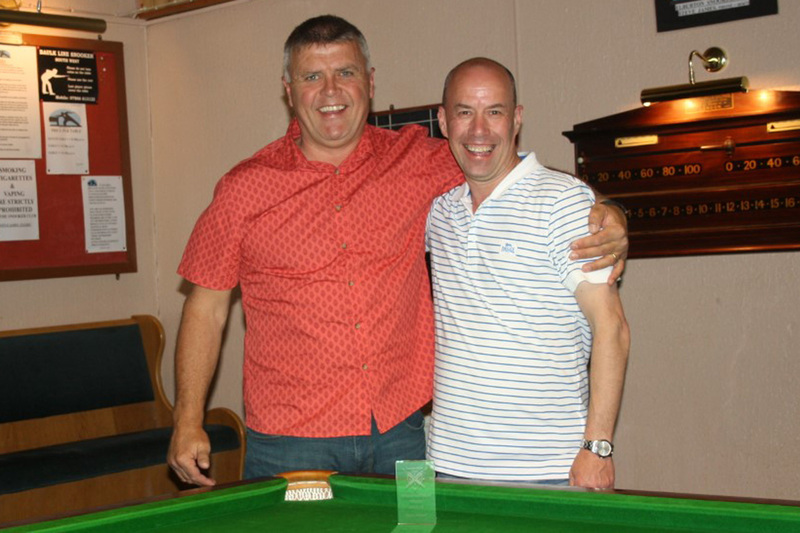 Steve Brookshaw compiled the highest break of the season with a 122.